SUPERTAPE bonds better than the best Extended Wear Bonding Adhesive. SUPERTAPE bonds for up to 40 days. SUPERTAPE bonds to both Monofilament material and Polyurethane tape-tab areas. SUPERTAPE is a skin safe “Medical Grade” Extended Wear bonding tape. SUPERTAPE eliminates gooey, sticky residue clean-up. SUPERTAPE provides as long a hold as our Bonding Strips without the vent-thru holes. Use instead of liquid adhesives to avoid the gooey mess and time-consuming clean-up, without compromise to the holding power. Note: Sensitive Skin users can punch holes to vent. SUPERTAPE Contours have been processed to eliminate any shine. For an even more undetectable appearance, simply press the PRINTED liner side of the adhesive contour against the base of your lace attachment. No melt-down hold. NOW-WITHOUT THE SHINE! New! 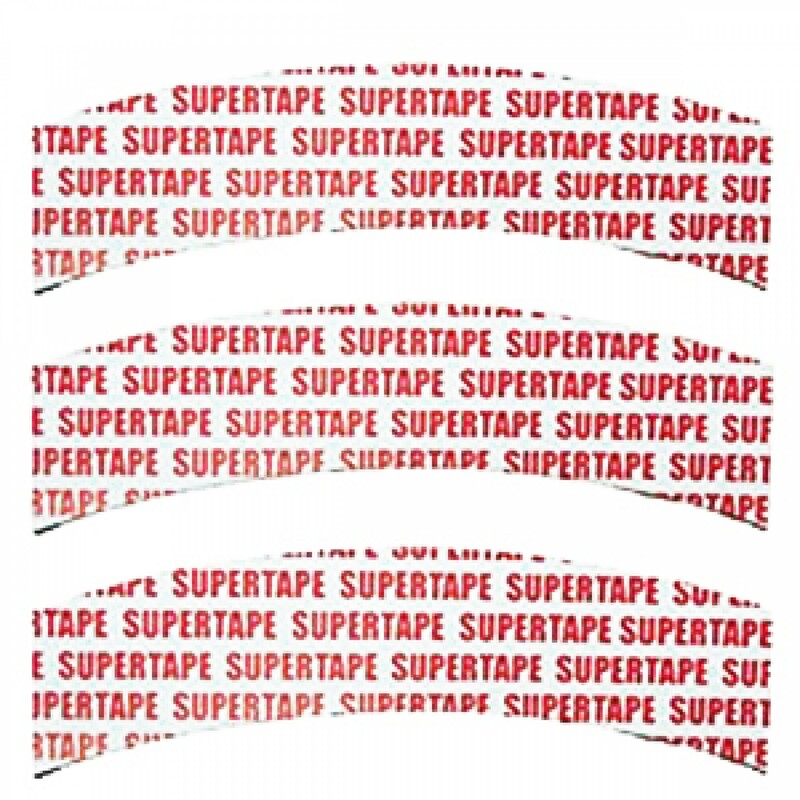 Low Profile Supertape New! Low Profile is now available. Incredibly long lasting hold, but thinner and lighter. Matte finish for a desired undetectable look. Thinner, take this great tape all the way to the edge of your lace front. As always, prepare scalp properly before applying any tapes. Can be removed with 99% alcohol or citrus remover.